For the last 12 days of the summer, the state of Minnesota is thrown into a State Fair frenzy. Minnesota is known for it's amazing fair. People from all over the Midwest flock to the state each summer for one final adventure before the summer ends. 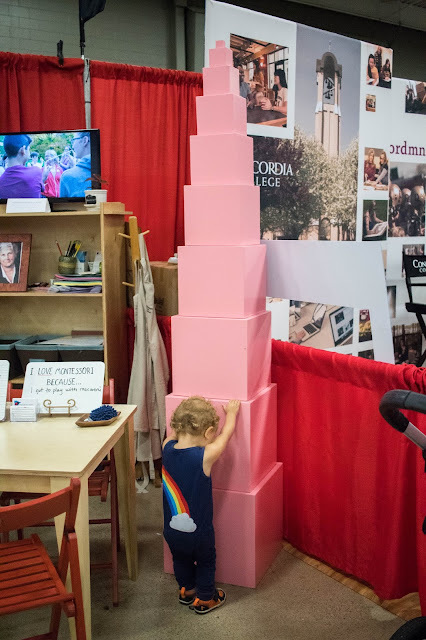 Four years ago, the Minnesota Montessori Network decided to take advantage of this amazing opportunity and bring Montessori to the fair. This amazing booth is created by local Montessori advocates including parents, and teachers. 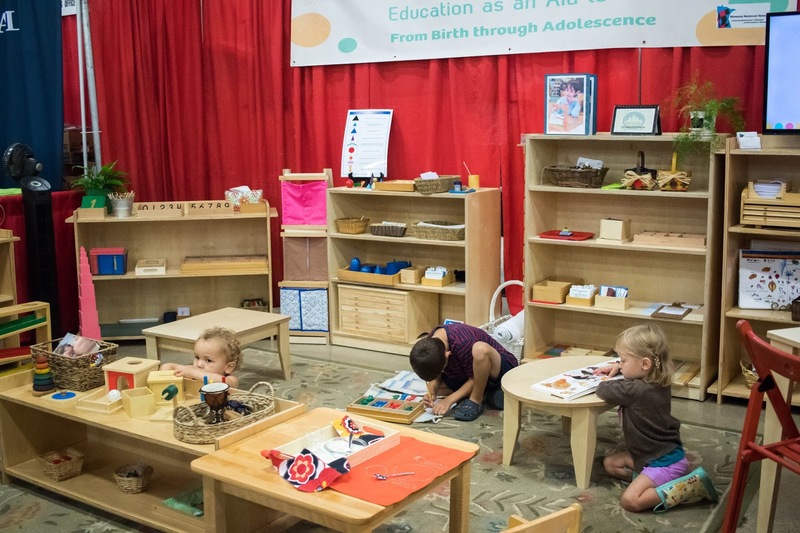 It allows thousands of families to experience a Montessori environment. 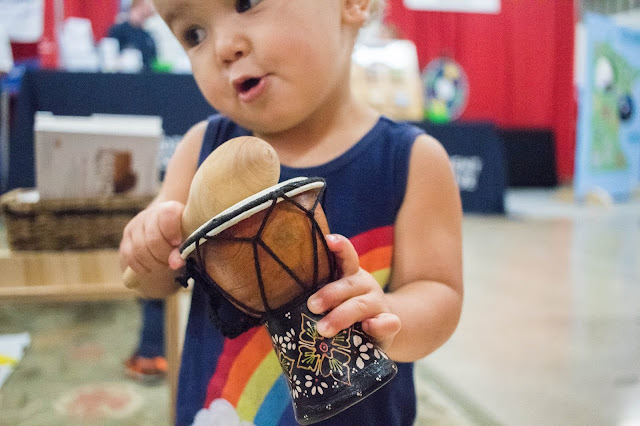 It allows children to touch, feel, and experience the joy of Montessori materials. It allows parents to also see the joy, and the genius that is Montessori education. The booth is staffed by Montessori guides, parents, and alumni. For the past two years, I've had the privileged of volunteering in the booth and seeing the magic for myself - not only with my kids, but hundreds of families. Anyway, I wanted to use this opportunity to urge everyone to get involved with their local Montessori communities. Look around in your city, state, or region for Montessori organizations. Think creatively about how you can bring in the wider community and spread awareness of Montessori. Could your school host a Montessori afternoon at a local library? Could you host a booth at a local fair or festival? Could a group of parents go talk about Montessori to the local school board? Or how about walking in a local parade? 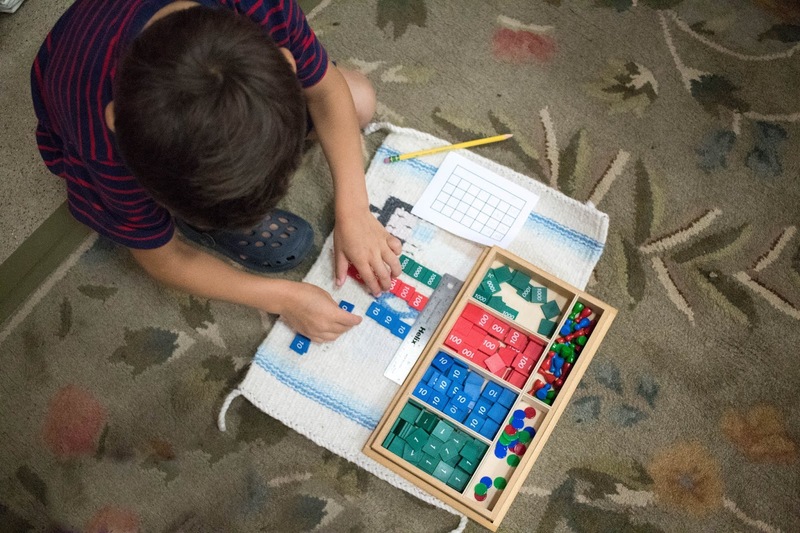 If you aren't sure if you have any local Montessori organizations in your area, the Montessori Public Policy Initiative has a list of state-wide organizations here. Explore the resources that they have for your state and see how you can get involved. I truly believe that if more people knew about and got to experience Montessori that more educational opportunities would open up for children. 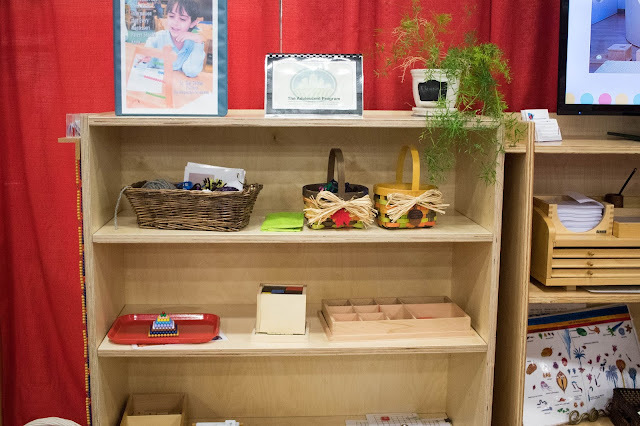 Have you been involved with a public Montessori display? What have you done? Do you have resources for someone in your area? *Full disclosure - I sit on the board of directors for the Minnesota Montessori Network. This post was NOT sponsored by the network and all opinions expressed are my own. I am strictly writing on my personal behalf.